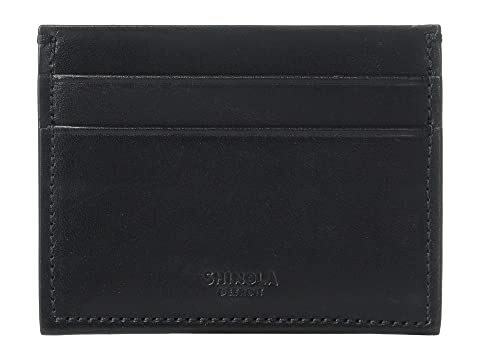 We can't currently find any similar items for the Five-Pocket Card Case Harness by Shinola Detroit. Sorry! Lives up to the considerable hype. Beautiful leather and flawless stitching. Card pockets are very tight - they should stretch out nicely with use. Middle pocket fits US currency without a millimeter to spare, making this the minimalist front pocket wallet I was hoping for. Durability is the only unknown, but I expect the harness leather to last for a good long while.